The 18th of May 2017 is a very important date to me, it was the day I had received an email from the Japanese Embassy in New Zealand informing me of where in Japan I was going to spend the next year working as an ALT English teacher. I was stunned as I read the words on my screen. Kochi-Ken, Yusuhara-Cho?? My initial thought was that this was not anywhere near the three placement options I had requested in my JET Programme application. Being an ignorant foreigner I had no prior knowledge of the Kochi prefecture and to my shame I had never heard of Yusuhara. I humbly confess, there was an initial feeling of dissatisfaction with the seemingly unknown location of my placement, but it didn’t last long. Just minutes into my research about Yusuhara, my childish notions of disappointment were quickly replaced by genuine excitement and admiration as I begun to learn more about the town and the region. I came to understand that the region was rich in natural beauty. The town itself seemed to have struck a good between progressive development and retaining its ties to its rich traditions and strong sense of community. 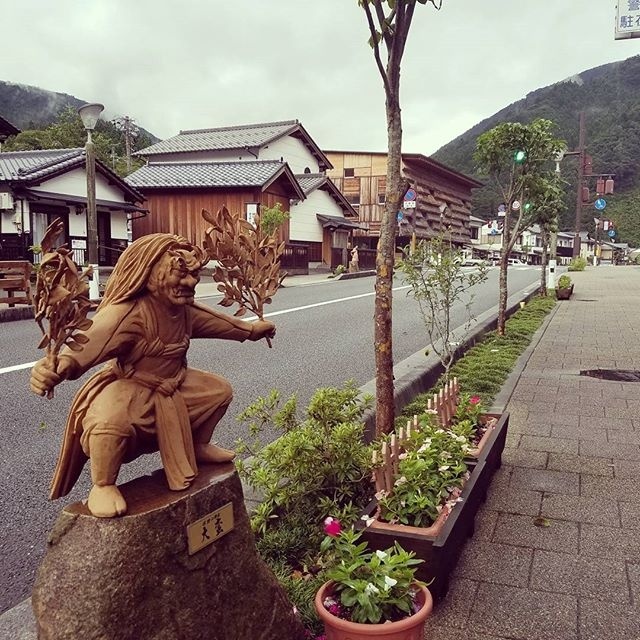 Based on my research it was evident the town was very pretty, I could see that Yusuhara featured some impressive landmarks including the Wooden Bridge museum by the world renowned architect Kengo Kuma. Furthermore the town had also received awards for sustainability amongst other things. Needles to say, I was sold and could not wait to experience life in Yusuhara! I wish streets in New Zealand were this nice. At the time of me writing this article I am entering my fourth week in Yusuhara. I feel extremely lucky to have been given an opportunity to be a part of this wonderful town. Consequently, this fills me with an even bigger sense of responsibility and obligation to do my best in order to return the favour by working hard, being a positive role model and helping the students of Yusuhara Junior High learn English. I also wish to offer my help in assisting my neighbours and the wider community wherever possible. So to rephrase my opening statement, the 18th of May 2017 is a very special date for me. Special, because that is the day I learned about Yusuhara. A town I feel lucky and proud to be part of. (C)2017 Yusuhara Town All Rights Reserved.